NCSSEF funds were used to purchase electric pumps for Trask Hatchery. 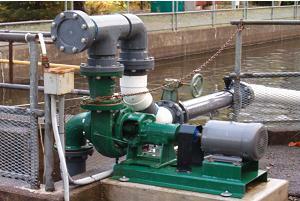 These pumps were installed on the two largest rearing ponds. The pumps will allow hatchery personnel to re-circulate water through the ponds during high water events. This will reduce the amount of silt accumulation in the pond, which reduces cleaning time and maintains a healthier environment for the fish. This project is especially beneficial to the smolts from the winter steelhead broodstock program, which are raised in these ponds over the winter months.